Business leaders gathered at Cornwall Airport Newquay this morning for the launch of the new air link with London Heathrow. As part of the new Cornwall Council led Public Service Obligation (PSO), funded by Government, the new service between Newquay and London Heathrow operates four times a day, replacing the previous triple-daily service between Newquay and London Gatwick. 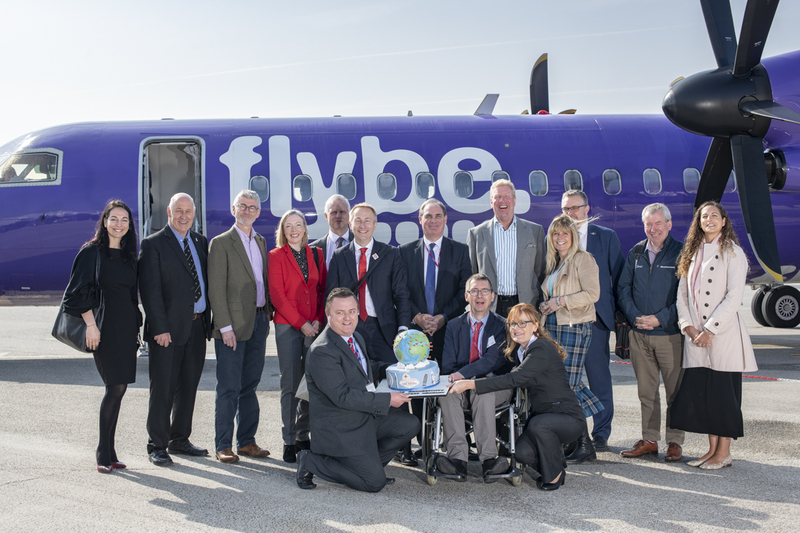 The flights are operated by Flybe, Europe’s largest regional airline, and builds on the previous route offered by Flybe between Newquay and London Gatwick which has seen demand almost double over the past four years. Q400 turboprop aircraft are used to deliver the more frequent service as well as reduce the environmental impact. The new route and frequency of flights have been secured for four years under the PSO agreement. It will also provide much-improved access to Central London via the 16-minute Heathrow Express service to Paddington, Piccadilly Line and eventually the new Crossrail service. Flights to London now account for 40% of all passengers using Cornwall Airport Newquay. Secretary of State, Chris Grayling, said: “The new route from Cornwall to our national hub airport offers significant opportunities for local businesses and people, and will help boost tourism across the south west. 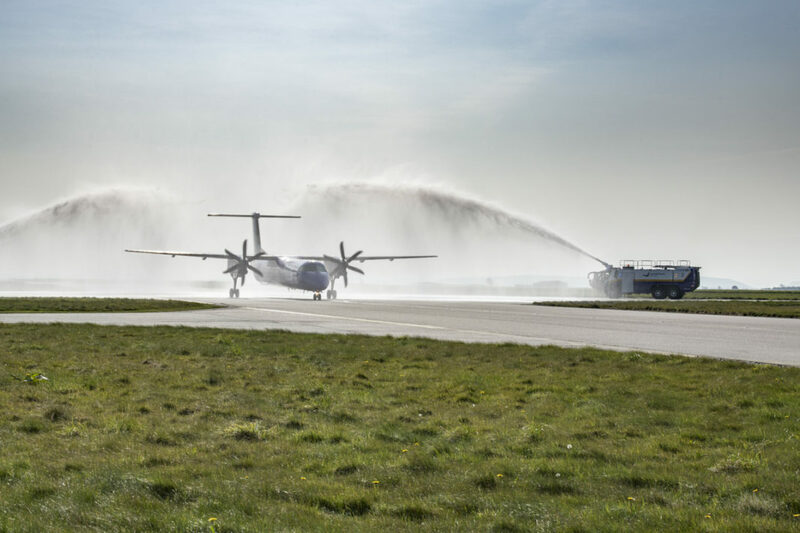 Cornwall Airport Newquay’s managing director, Al Titterington, added: “It’s fantastic that all the hard work to make sure that Cornwall Airport Newquay has direct access to Europe’s busiest hub has finally come to fruition. The worldwide connectivity that this brings opens up a world of opportunity for Cornwall.